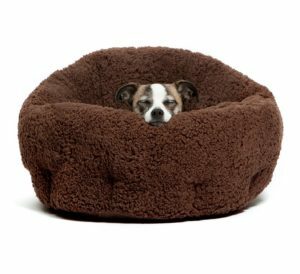 When looking to get a nice dog bed, you need to find something that your dog can feel protected in. It is often easier for some dogs to enjoy sleeping when they are surrounded by a nice and secure space. This includes a spot that allows the dog to hide somewhere while also being covered and insulated with something warm. This is where a nesting dog bed or cozy cave with memory foam and machine washable outer cover can come in handy to ensure a good night sleep. 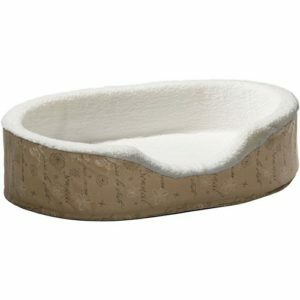 This is a type of great dog bed that features a soft body that is comfortable and offers a border around the ends. The border creates a nice cover for the dog and can even come with a flexible body that allows for a blanket-like cover depending on what the bed is like. 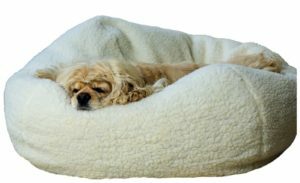 Many great nest beds are designed to be easy for a dog to sleep on as well. These are designed with flexible bodies that conform to the dog’s movements and joints, thus keeping a surface from being too hard or otherwise uncomfortable to sleep on. Any bed that has an opening on a side to help your dog get on it without too much effort is always welcome too as it keeps the dog from struggling when sleeping. As you look for a nesting dog bed, you should choose a great option that not only looks great but is also one that your dog will want to sleep on. Here are a few of the best nest bed options for you to have in your home. These are made with various types of bodies but they are all designed to be comfortable and will provide your dog with a soft and relaxing space. The first nesting dog bed to see is this choice from Best Friends by Sheri. It has a soft Sherpa plush fabric that offers a great amount of support. It comes with a flexible fill that supports the dog’s joints and weight. This is ideal for dogs that have joint pains and need a more comfortable spot to sleep on.The fabric stretches up around the ends of the bed to create a nice bordered surface that keeps the dog protected and comfortable while asleep. 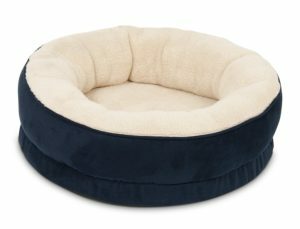 At about 20 inches in diameter, it is great for dogs up to 25 pounds in weight. It is also available in a variety of colors. The egg-crate base on this nesting bed creates a comfortable setup that bends in many directions to handle the needs that your dog has for sleeping. It comes with a soft fleece cover that is easy to remove and wash in a machine. This can be ordered in one of five sizes from 20 to 43 inches. It has a wide enough opening at the front to allow the dog to carefully climb onto the bed. This next option does not have a set base but rather has a flexible body where the edges are a little higher up than others. This offers a nice bit of covering for your dog to sleep under as your dog can cuddle under its surface. The polyester bed is soft enough to support any position that your dog plans on sleeping on. You can order this in one of three sizes. The largest option can handle dogs up to 40 pounds in weight. The raised sides on this bed offer a comfortable space while giving your dog a nice incline to sleep on or to hide under. The sides are evenly arranged to keep drafts from being an issue. The bonded fiber base also provides the bed with added cushioning.The inside features a polyester fiber fill. This is soft and can retain its qualities even after lots of weight is added onto it. This can also be washed in a machine under cold water. It is 20 inches in diameter so it should support a number of dog breeds. It is also available in four colors. 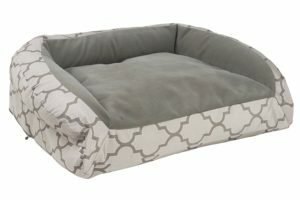 The Berber exterior on this pet bed offers a soft surface to sleep on. The cover is fully removable and can be washed in a machine. The fill is made from recycled plastic bottles that create a flexible arrangement that doesn’t protrude out of the thick Berber fabric. The fill also conforms well to your dog’s weight. This is about 12 inches thick and is available in three sizes. The non-slip bottom also allows you to place the bed in any room without worrying about it sliding around. Seeing how your dog can get in on the bed from any direction, this is a convenient feature that makes the bed a little easier to maintain and place in your home. Any dog that enjoys a small bit of digging will enjoy this particular bed. This offers a soft nylon cover that resists chewing and many other rough impacts that might get on its surface. It also uses polyester fibers on the inside to create a flexible surface. This bed resists odors and stains quite well. This uses an open border on one long end to create an easy entry point onto the bed. The raised sides are soft and allow for a nice space to cuddle under or to lie on top of. Your dog will feel protected and will not struggle with aches and pains in their joints while sleeping on this in the right way. Best of all, you can order this in one of five sizes. Look at all of these nice nesting dog bed options for your pet. 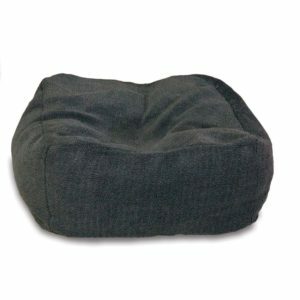 These are made with some nice features that are easy for your dog to enjoy sleeping on. You should look at all of these options when finding a comfortable bed that your dog will feel great with and will not experience a good amount of pain with.